featuring the Winners of our 2019 Concerto Movement Competition! Tickets are available for purchase at the door beginning one hour prior to showtime. Please bring cash or checks as we are not able to accept credit cards at the door. Cassandra (Cassie) May, age fourteen, is an eighth-grader at BASIS Independent Silicon Valley. She began violin lessons when she turned four and has been studying with Patricia Burnham for the past seven years. Cassie really enjoys performing, as a soloist and in ensembles large and small. Besides collaborating with friends and family and participating in summer chamber programs, Cassie spent two seasons with the Palo Alto Chamber Orchestra and is currently in her fourth consecutive season with Golden State Youth Orchestra (GSYO). Cassie has performed at the Junior Bach Festival, been awarded first place at the MTAC VOCE competition, and is a three time winner of GSYO’s annual concerto competition, soloing with the Sinfonietta and Senior orchestras. Spencer Cha has been taking piano lessons since the age of 3, and currently studies with Lena Grozman. He has won multiple competitions, including the CAPMT State Honors Competition, CAPMT Northern California Concerto Competition in two age groups, the Marilyn Mindell Competition, the Chopin SF Competition, and the Thera Rabinowitch Competition. He won Outstanding Gold Medalist twice in the 2018 U.S. Open Music Competition and has placed 1st, 2nd, and 3rd place in various USOMC categories over the years. In March 2017, he performed at Carnegie Hall after winning 1st place in the American Protégé Competition of Romantic Music and 2nd place in the American Protégé Piano and Strings Competition. Spencer was also 1st place alternate in the MTAC Solo Competition and MTAC Concerto Competition and has performed at the MTAC State Convention. He placed 2nd in the 2019 Marilyn Mindell Competition (Senior Division) and participated in a master class with Frank Wiens in the finals of the 2019 Zeiter Piano Competition. He is a 9th grader at Harker School and enjoys composing music, soccer, skiing, and tennis. Pianist Karina Tseng, seventeen, is a junior at Carlmont High School. She is currently studying with Olya Katsman and previously studied with Sujeeva Hapugalle for ten years. Karina is a first prize winner of the Pacific Musical Society Competition, Marilyn Mindell Competition, New Millenium Chamber Orchestra Concerto Competition, multiple US New Star competitions, and US Open Music Competitions (Showcase and Concerto), and was awarded “overall top performer” at the U.S. New Star and USOMC Competitions. She was invited to perform in Weill-Carnegie Hall as a winner of the American Fine Arts Festival's International Competition, and in 2016, was a soloist with the El Camino Youth Sinfonietta. In 2018, Karina was presented with MTAC Panel Honors, placed highly at the MTAC Solo Competition, and was a finalist at the Mondavi Young Artists Competition. She has played in master classes for Simon Trpčeski, Roberto Plano, Gila Goldstein, Rohan de Silva, Mack McCray, Ian Swensen, the Horszowski Trio, Henschel Quartet, Morgenstern Trio, Miro Quartet, and Trio Con Brio Copenhagen. Currently, she is a member of the Fervida Trio (as a part of the Young Chamber Musicians program directed by Susan Bates), which won the 2018 Galante Prize Competition. Over previous summers, Karina has attended the Boston University Tanglewood Institute Young Artists Pianists Program, Crowden Music Center Chamber Music Workshop, and SFCM Summer Music West. Shannon Ma, age 13, is an 8th grader at Redwood Middle School in Saratoga. She started playing the violin at the age of three and currently studies under Ms. Zhao Wei in the Pre-College Division of the San Francisco Conservatory of Music. Shannon was the 1st prize winner at the 2013 CMTANC music competition and the 2014 DVC/HNU Young Artist String Competition. She also won the 1st place at both 2016 and 2018 Pacific Musical Society Competitions. In addition, she performed at the 2018 Junior Bach Festival and also received 1st prize at the 2018 USIMC International Music Competition. This year, she had the honor of being chosen to be the concertmaster of the 2019 CASMEC Junior High All-State Honors Orchestra. Outside of being a violinist, Shannon is also an accomplished dancer and competes at regional and national levels year-round. She also enjoys reading and writing, having won top prizes at numerous writing contests. Ryan Wang, is a 7th grader at Egan Junior High in Los Altos. He began to take piano lessons when he was almost 5 years old. He currently studies with Professor Hans Boepple. 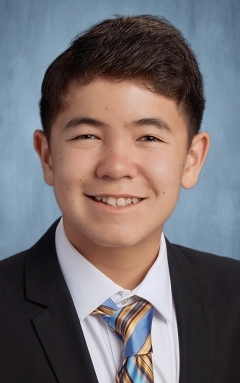 Ryan was awarded Outstanding Gold Medalist and won 1st place in the US Open Music Competition showcase piano solo, 2nd place in the United States International Music Competition, and 3rd place in the San Jose International Piano Competition. In 2018, Ryan won first prize in the SF Chopin piano competition. first place alternate in MTAC piano concerto competition, and as a soloist, he performed with Golden State Youth Orchestra. This year, he performed in the Junior Bach Festival. Besides love of music, he enjoys math and outdoor sports. Pianist Andrew Wang, 17, is a senior at Mission San Jose High School in Fremont. He began piano lessons at the age of five with Mrs. Sandra Shen until age 8, then moved under the tutelage of Mrs. Olya Katsman. He was recently inducted into the Young Artist’s Guild class of 2018. His other accomplishments include first prize and the Contemporary Award in the East Bay Music Competition, first place and audience award in the Contra-Costa Sturm-Page Piano Scholarship Competitions, Honorable Mention at the CAPMT Concerto Competition, 1st alternate award at the CAPMT Honors Competition, master class at the Henry and Carol Zeiter Competition, multiple acceptances into the Junior Bach Festival, and MTAC Panel Honors. Andrew is also an active member and treasurer of the Music Student Service League, an outreach program which performs regularly for seniors and other citizens in the community. Andrew has sung in choir for 10 years, and played cello for six, participating in an all-state honor orchestra in 8th grade. In his free time, Andrew enjoys badminton, listening to music, and traveling. Solomon Ge, age 16, is a pianist and composer from San Jose, CA. He currently studies piano with Prof. Yoshikazu Nagai at the San Francisco Conservatory of Music and is in Junior Year of high school at Live Oak Academy. He has won numerous awards in piano including prizes in the 2017 and 2019 Zeiter Piano Competition, 2018 MTNA Senior Piano Competition, 2019 Yen Liang Young Artist Competition, and is the winner of the 2019 Marilyn Mindell Piano Competition and the 2019 CAPMT Honors District Competition. He has also participated in the 2018 Amalfi Coast Music and Arts Festival in Italy and the 2019 International Maestro Piano Festival in Taipei. His hobbies include math, chess, and soccer. Ajay Mallya, age 16, started learning violin when he was 3 years old, and is a student of Zhao Wei of the San Francisco Conservatory. Ajay has won awards at competitions such as the Pacific Music Society, USOMC, KAMSA, Enkor International, American Protégé, DVC/HNU. Ajay was the Co-concertmaster and Co-Principal at the Carnegie Honors Orchestra in 2016 and served as the Principal and first violin at the California Youth Symphony. In 2017, he was invited to perform at the National Center for Performing Arts in India by the Mehli Mehta Music Foundation and also attended the Summit Music Festival where he learnt from American violinist, Maestro Aaron Rosand at his private studio and Mr. Victor Danchenko of the Royal Conservatory. In 2018, Ajay attended the renowned Meadowmount School of Music, where he studied with Prof. Sally Thomas of Juilliard and Mr. Kikue Ikeda of the Tokyo string quartet. Ajay has also participated in master classes led by Ms. Sally Thomas, Mr. Aaron Rosand, Mr. Haik Kazazyan, members of the St. Lawrence Quartet and Trio Solisti. 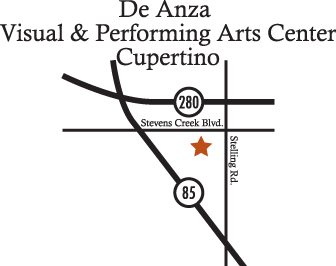 Previously, Ajay attended the California Summer Music in Sonoma for two years. Ajay has studied with Ms. Jo-mee Lee of Stanford and is also thankful to his past teachers, Robin Sharp and Pat Burnham. Ajay is currently part of the Arcturus trio at Young Chamber Musicians, led by Ms. Susan Bates, where his trio won second place at the Galante Competition. Ajay is a sophomore at Bellarmine College Preparatory and is the Concertmaster of the Bellarmine Chamber Orchestra where he also performs as a soloist. This summer, Ajay will be performing with the National Youth Orchestra of the United States, under conductor Sir Antonio Pappano, and the orchestra will be representing the United States at major international music festivals with Grammy-winning sopranos.